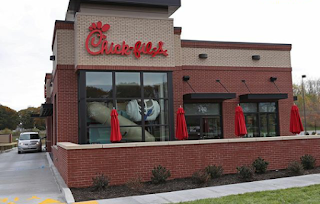 A woman took an unplanned bathroom break at Chick-Fil-A and ended up delivering her baby there in the restaurant's restroom. 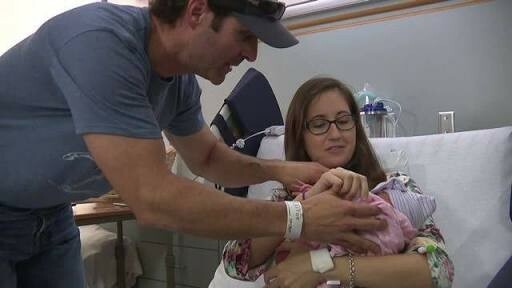 Falon Griffin began having contractions on Tuesday. She and her husband Robert Griffin made a stop on their way to San Antonio, Texas’ University Hospital to meet up with a family friend at a local Chick-Fil-A store so they could drop off their two older daughters with them before going to deliver their baby. As they stopped, Falon realized she needed to use the bathroom. 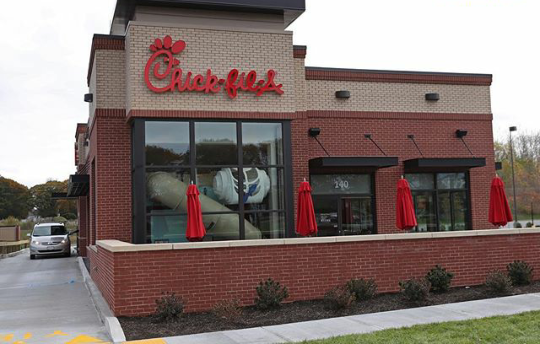 It was after 10 p.m. at the time and Chick-Fil-A was closed but the couple banged on the windows to try and get the staff’s attention because Falon didn’t feel like she could wait until they got to the hospital. Woman gives birth in restaurant restroom; baby offered free food for life and a guaranteed job when she Falon was allowed inside while her husband waved goodbye to the kids. Afterward, Robert went inside the store and was told by the manager that his wife was “screaming” in the restroom, only for him to learn that she was in the process of giving birth. Writing about it in a Facebook post that has since gone viral, Robert said: "Last night I delivered our baby girl IN THE BATHROOM AT A CHICK-FIL-A!" Later, Robert told KENS-TV: "I can see just the top of Gracelyn’s head, just barely crowning, but I knew we couldn’t go anywhere. So I told her, ‘Sweetie, we’re gonna do something great, and we’re gonna do it right here and we’re gonna do it right now'." In honor of the unexpected delivery, the popular franchise will give her free food for life and has also guaranteed her a job as soon as she turns 16.